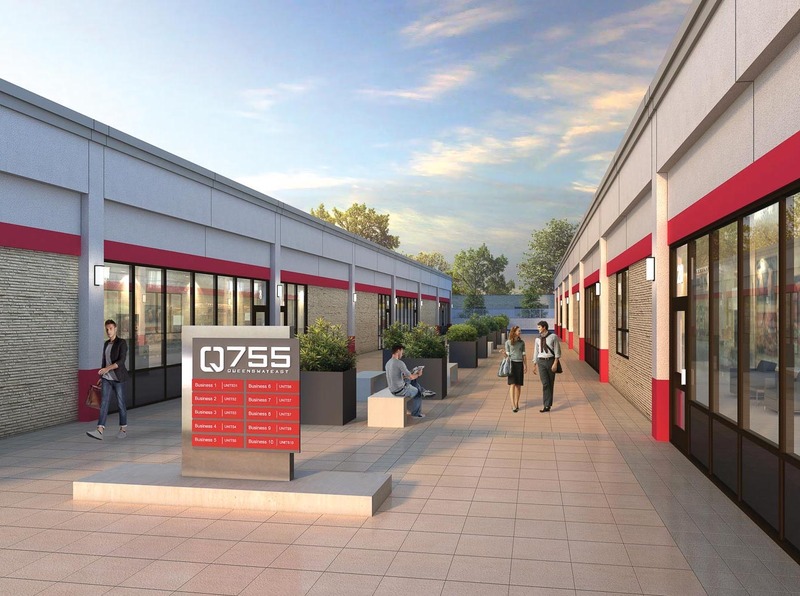 The newly renovated 3-storey office building is a major feature of 755 Queensway East. 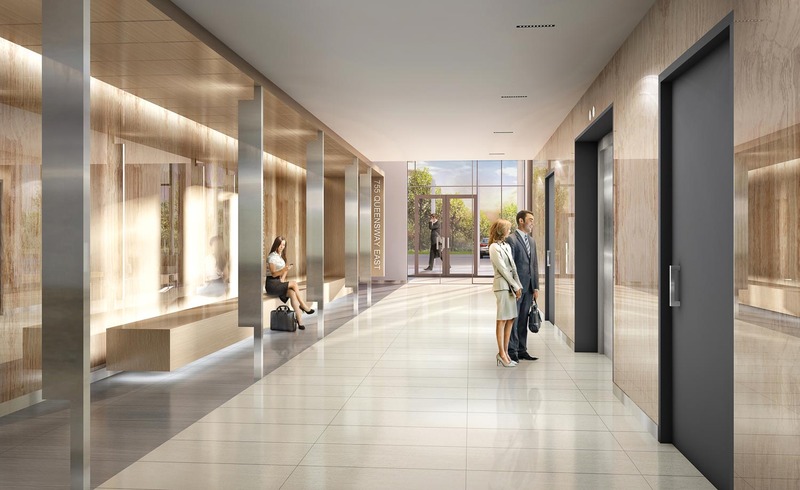 Landscaped grounds and re-finished hard surfaces surround a glistening three-storey glass atrium entry leading to a designer detailed lobby. 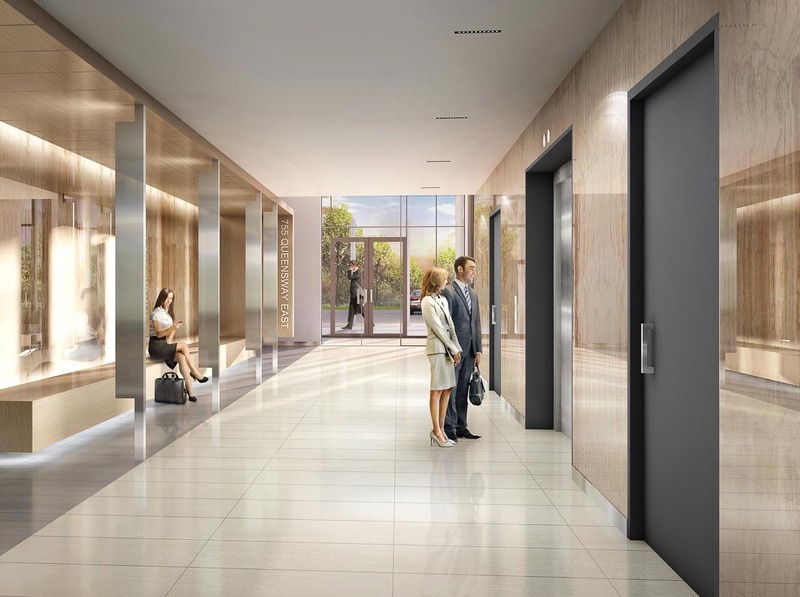 Floor-to-ceiling marble walls, sleek seating areas, dramatic lighting columns and the newly refitted elevator give just the right first impression for visiting clients. The two office floors are fully renovated and are available in a wide array of sizes to suit your needs. A major feature is the weather-protected and heated underground parking for owners, staff and visitors. Fully upgraded office spaces available in a wide array of sizes complemented by a stunning new glass atrium entry and lobby. High quality renovated units available in a variety of sizes with street or landscaped central courtyard fronts. 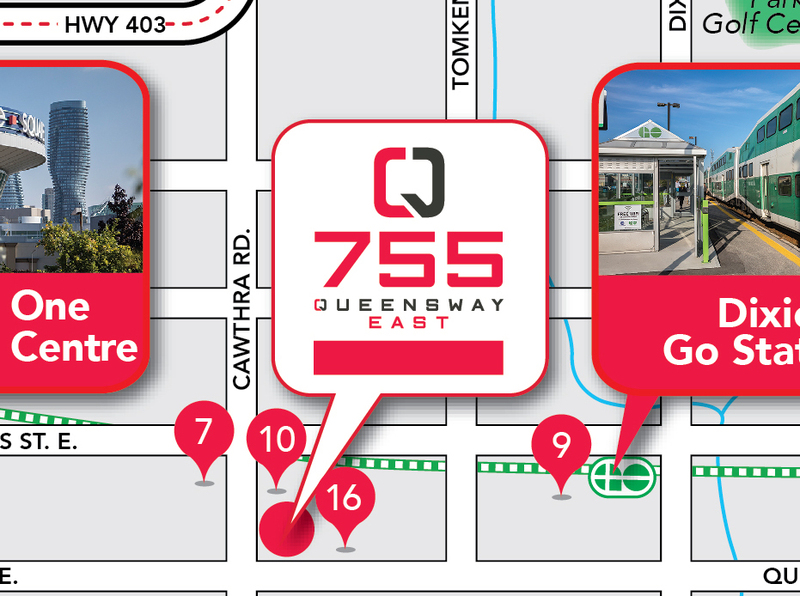 Located just north of QEW at Cawthra Rd., 755 Queensway East is easily accessible to Downtown Toronto and central to everything in Mississauga. Brokers Protected. Sizes and specifications are subject to change without notice. All renderings are artist’s concepts. E. & O.E. January 15, 2017.